Brott’s Beard Care ‘Sweet Citrus’ Beard Oil is just amazing, I loved this oil. 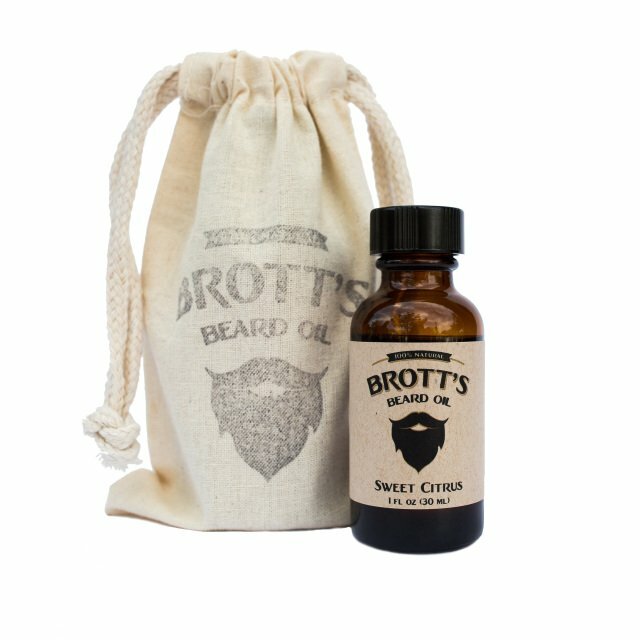 After using ‘Sweet Citrus’ Beard Oil, it now appears that some of my favourite beard oils are sweet with citrus and ‘Sweet Citrus’ Beard Oil from Brott’s Beard Care definitely affirmed that! I knew from the previous test of Brott’s ‘Cinnamon Vanilla’ that the oil was going to be a good base but you can never be sure about the blend of essential oils that give an oil its scent, however Kelly Brott has hit a home run with his ‘Sweet Citrus’ beard oil. I could state the obviously saying that the oil is sweet and citrus, oh go on then! The oil is sweet and citrus as you would expect, but that description doesn’t tell anywhere near the whole story. The oil is made up of a base of Grapeseed, Sweet Almond, Jojoba and Argan carrier oils with a blend of Vanilla, Pink Grapefruit and Sweet Orange essential oils and I personally think it’s the addition of Pink grapefruit oil creeping in from the background that makes this oil so fantastic. The oil is a thicker oil which for me is what I look for in a good oil as I have a dry and wayward beard and so Argan oil is what I personally look for in a beard oil. Brott’s ‘Sweet Citrus’ has that beautiful sweetness from the Orange and Vanilla with the sharpness of the Pink Grapefruit cutting in. The oil left my beard feeling naturally soft with a decent amount of hold and it also kept my beard looking good. I always ask my wifes opinion on an oil and she has a talent for being able to pick out the various scents and she particularly liked this beard oil and any bearded man in a relationship knows how important it is to have the approval of our partner. The oil comes in a 30ml/1 fl oz glass bottle with a pump dispenser and is the creation of Kelly Brott who is the creator of these beautiful oils (I know beautiful isn’t a manly description) and thankfully the test of Brott’s Beard Care products continues with his ‘Cinnamon Vanilla’ Balm and then the ‘Orange Spice’ oil.